I was wondering whether anyone is using Affinity Designer for precision mechanical drawing or CAD? 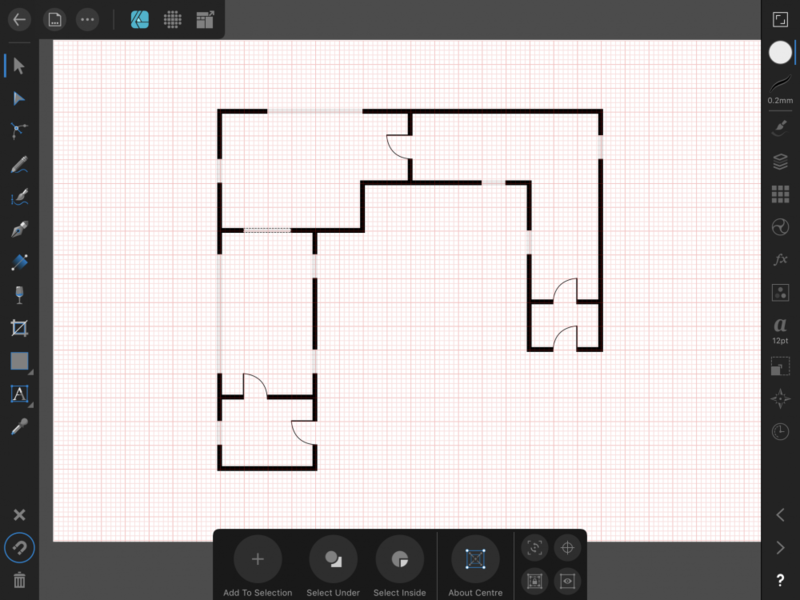 I have been playing with AD as a replacement for some fairly expensive CAD apps (mainly on the Mac) and am impressed with its capabilities in this area due mainly to its extensive snapping features and drawing guides. My interest is in making precise drawings of scientific apparatus for publication (mainly in books). I have formerly used Ashlar Graphite (on the Mac) for drawing and like it very much, but find it to be extremely expensive to maintain. I am also attempting to move my set of desktop publishing apps to the iPad. There are already two tolerable LaTeX typesetting apps on the iPad and I need to see whether AD can be fit into my workflow (using drag and drop and other iOS 11 features). If anyone is using AD for mechanical drawing, it would be nice to exchange tips and experiences. Thanks for the response. I will look for the civil engineering tutorials.